There are three reasons why you may need to reapply for unemployment. If you have previously filed a claim and did not submit your certifications and your claim has closed. If you were receiving benefits, started a new job or returned to your previous employer, and now you have a separation. If your benefit year has ended and you need to continue your benefits, a transitional claim can be filed. Step 1: You will login to your dashboard, go to the Unemployment Services Tab, and click on the Start an Unemployment Claim link. New: A new claim is filed if you have never filed for unemployment or your benefit year has previously ended and now need benefits. Transitional: A Transitional claim is filed if you are receiving benefits and your benefit year (BYE) expires. After you certify for the last week of your claim, you will then file a transitional claim to continue. Additional: An Additional claim is filed if you have a new separation or you claimed excessive wages on your weekly certification. Reopen: A Reopened claim is filed if you have previously filed a claim but never submitted any weekly certifications. A lot of claimants will file a reopen when an additional claim is needed. Filing a reopen claim when you have worked since your last filing will lead to a delay or a loss of benefits. The one question that will correctly file your claim is "have you worked since the last time you filed". If you click yes, then you will correctly file an additional claim. If you click "you have not worked", then you will file a reopen claim. Before you submit your unemployment claim, you are given a list of items that you must read and check off. You must submit weekly certifications to be eligible for benefits. Many claimants state they were unaware of this requirement, but it is here that you acknowledge the requirement. Step 2: Begin certifying the first Sunday after the claim is filed and each Sunday thereafter until you return to work. To submit your weekly certifications, go to your dashboard, Unemployment Services, and click the link Weekly Claim Certification. How do I certify for unemployment? The claims process takes approximately 21 days for a decision to be determined. You WILL be required to start your weekly certifications prior to a decision being issued on your claim. If you go more than two weeks without submitting your certifications, your claim will close. how do I sign up for an extension of benefits? The federal extensions for unemployment expired at the end of 2013. 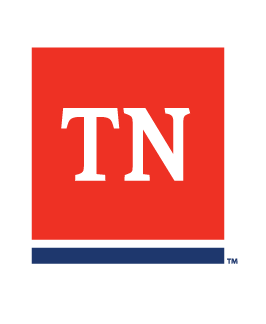 There is still some discussion in Congress about these federal benefits, but as it stands right now there is no benefit beyond what is available through Tennessee's program…the maximum of 26 weeks of benefits. You are right in that the timing of your benefit year isn't ideal. Basically a benefit year is the 52-week period beginning the first day of the week in which your initial claim is filed. During that year you have an open account with us. If you go back to work and become unemployed again during that year, you are reopening that claim. When your benefit year ends, you must reapply for benefits to start a new benefit year. I have worked all my life (46 yrs old), never drawn unemployment before and lost my job this Feb when my company closed it's doors. I was approved for 17 weeks and have just been notified my benefit expires within 2 weeks. I have not secured another job yet. Is there a way to file for extended pay, since I only received 17 of the 26 available weeks? Any help is greatly appreciated. I'm sorry but not everyone gets the maximum of 26 weeks. Once the amount you are eligible for expires, you would have to earn qualifying wages to again become eligible for unemployment. How do I get extension on my unemployment once 26 weeks. Exhaust? The federal extensions are still expired so you'd have to have eligible wages for about six months before qualifying again for TN benefits. Why doesn't anybody help.... nobody isn't responding to any of my calls!!!!!!!!!!!!!!! I see you have submitted 5 tickets today. They respond to tickets in the order in which they are received so it doesn't speed up the process to submit more than one. They are currently working tickets from the 12th so expect a response on Friday or Monday. I have been working with Amazon through a temp service since 10/2011 they work you for a few months and lay you off....I have returned as soon as they contact me that they are needing employees. I have drawn unemployment until I return but now I got a message that all my benefits have been exhausted. I worked 11/2013 until 2/2014. How can this be when I am returning and working until laid off again, the layoffs are not my fault it is because they no longer need us except during peak seasons.